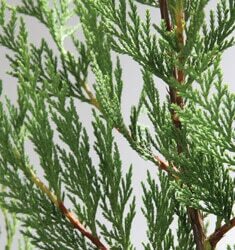 Evergreen, dense feathery branches with dense soft green foliage. Neat, strongly pyramidal in shape, strong and extensive root system. Try as a Christmas tree.